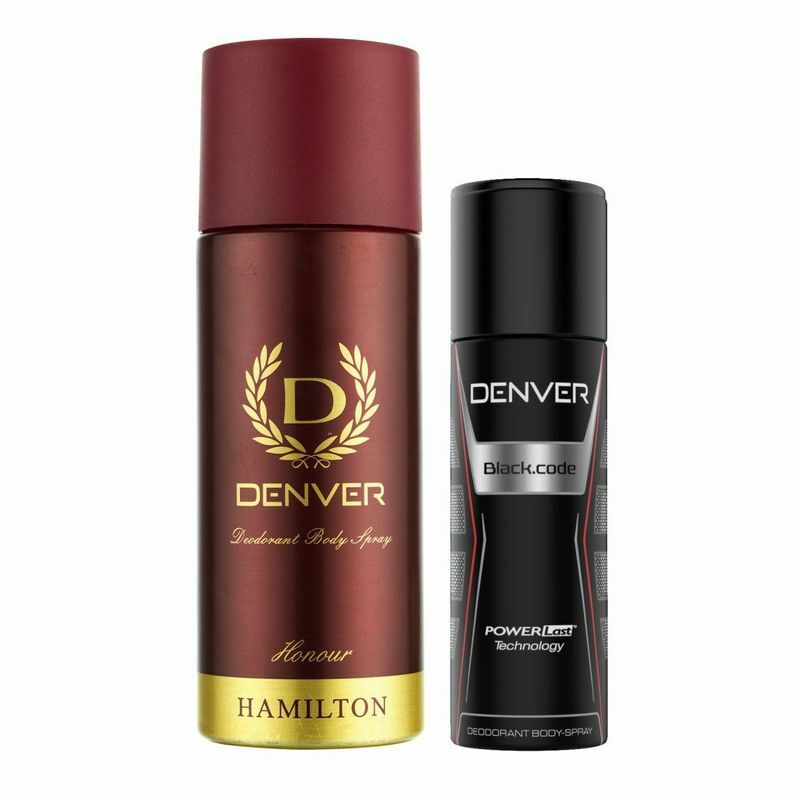 Be ready to take on the world by a storm with the Denver Honour Deodorant featuring a rich mesmerizing scent. You're the man of mystery and sharp intelligence. You're not always fond of being in the limelight, though you've had your moments of fame. You like flirting with danger sometimes for that adrenaline rush. Now with Denver Black Code feel the mix of both extremes in you that women find irresistible. The Denver Black Code Deodorant is exclusively designed for the man who keeps everybody guessing. The enigmatic fragrance is layered with top notes of everything masculine. But what keeps the ball in your court is the surge of freshness and sensuality that never goes unnoticed. Re-engineered with powerlast technology and extra powerful fragrance, it keeps you in the game long after it's played out.